Storage cupboards are highly versatile storage solutions which add more functionality to your home and increase storage space. These can be custom designed and installed to suit any specific storage requirements, allowing you to easily organise your belongings. 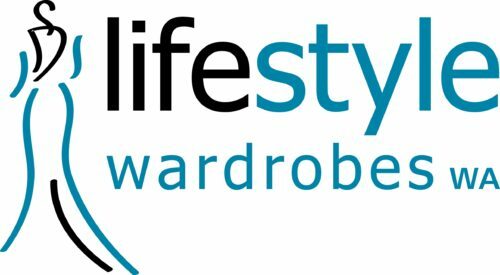 Lifestyle Wardrobes provides complete services from design to installation for storage cupboards. Our storage solutions are custom made to meet your individual requirements with an attention to detail and quality workmanship that is simply unmatched. Our storage cupboards are available in the latest styles and finishes, giving you complete flexibility in choosing the best options that match your preferences. All cupboards are built from the highest quality materials with installations performed by our experienced cabinet makers for a stunning finish. Storage cupboards provide an excellent solution to organise your spaces with quality designed shelving, providing easy access to your items. Unlike standard cupboards that may not match existing decor, our solutions are fully customised to complement and enhance the interior of your home. Our team has extensive experience with delivering quality storage solutions without any compromises. Our designers work with you throughout each step of the way to choose the right style and finish that enhances the functionality of your home. Whether you are looking to increase storage space or are investing in renovations, our professional services are available at competitive prices and delivered to a higher standard that is second to none. Our experienced team work with you closely from choosing your initial designs to having them implemented. Since our storage cupboards are custom made, we offer a free and measure quote that can be scheduled at a time that is convenient for you. This gives our designers the opportunity to discuss your requirements in more detail and to show the different products we have available. Once we receive approval on the designs, we get to work on manufacturing your cupboards to your exact requirements. These are then installed by our qualified cabinet makers who have worked extensively with numerous property owners for different installations. We stand behind the services that we provide which is why we offer a 10 year guarantee for all installations. Lifestyle Wardrobes is a family run business owned and operated in WA. Our extensive experience in the industry makes us one of the leading providers of installations for storage solutions from wardrobes to cupboards. We constantly strive to exceed expectations and to deliver a high level of customer service. Our designers help you make the most of your space with a design that complements your home. Whether you have a specific design in mind or need assistance, our designers work closely with you to design beautiful and highly functional storage cupboards. Contact us today to request a free measure and quote for our range of services or come visit our location in person to see our showroom and to speak with one of our representatives.